How to Successfully Pitch Your Startup Idea to Investors at an Event? Startup pitching is both an art and a science. Mastering it, and understanding how to get investors’ attention, can make or break an entrepreneur. Planning, preparing, and tailoring your startup pitch to find new investors is key to turning your idea into reality. Pitching opportunities are everywhere — at the local art studio you visit on the weekends or at big networking events, for example. Recognizing opportunities, being prepared for them, and acting upon them, is the hallmark of entrepreneurship. With so much at stake, it can be stressful for entrepreneurs to navigate the fundraising world. This is why Seedstars Summit made it easy for startups to pitch to investors during the Investor Forum. 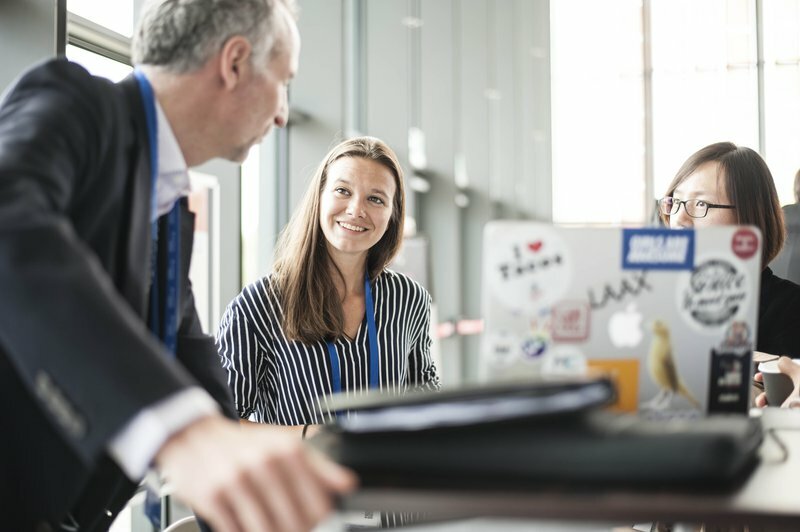 The Investor Forum lets investors hear over 70 pitches from startups from Asia, Africa, MENA, CEE and Latam, and over 200 one-on-one meetings are facilitated with the most investible startups from emerging markets, among other exciting opportunities. 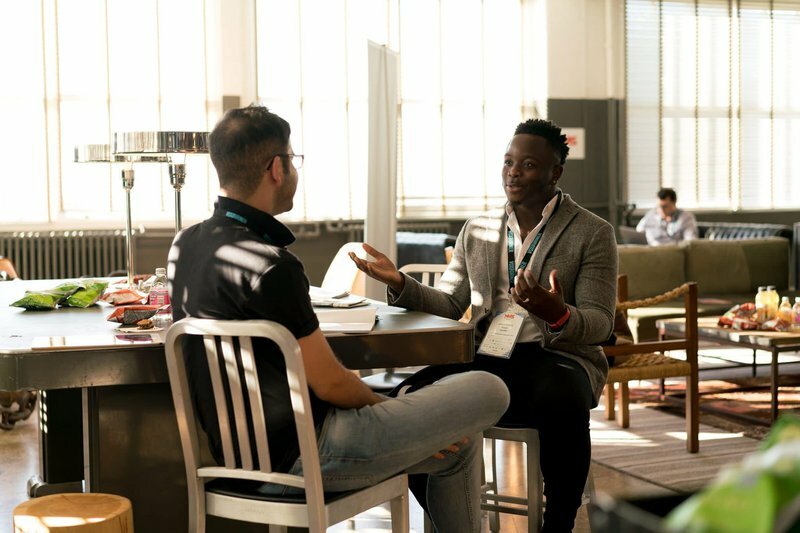 It is invaluable, both for startups and investors, to have dedicated spaces for hearing startup pitches, meeting one-on-one, and having meaningful and relevant conversations. A lot of startup pitching, however, happens in the spaces ‘in between’ — during coffee breaks and meals. Regardless of when and where you are pitching, it’s essential to learn how to create an effective startup pitch structure. It’s important to note, however, that there is no one winning formula for crafting an effective pitch. Startup pitching takes practice. With this in mind, we outline below some of the key characteristics of a successful startup pitch structure that you might consider trying out. Confidence, not arrogance: Ambitious, not unrealistic - founders need to strike a balance here. Usually, the emerging market entrepreneurs come across as confident, but either not ambitious enough or unrealistic. To get the returns investors are looking for, ambition is required. And to achieve the ambition, you need to show a realistic path of how you will get there. Use WHEN, not IF: For the entrepreneurs lacking confidence, this is a telltale sign. If you don’t have confidence in yourself, how can you expect investors to get onboard? Do your homework: You need to think of an investor as a partner and knowing something about them is the first step to that. Find out what else the investor can bring to the table other than money and be sure to discuss it with them. Raise the challenges yourself: An investor will figure the challenges out soon enough, so you may as well surface them early on to show that you’re prioritising them. This is also a good way of getting the conversation a bit deeper. Practice: Pitching to investors and having all the numbers and answers in mind is hard work. Before you start meeting investors, practice with teammates or mentors who can put you through an artificial grilling. As previously mentioned, opportunities for pitching your startup idea are everywhere. Events like Seedstars Summit, that are specifically designed for startups, are some of the best places to pitch your startup ideas - both during the formal and the informal parts of the agenda. Are you willing to enrich your network with valuable connections, learn, pitch your idea to numerous investors, and meet change-makers from all over the world? 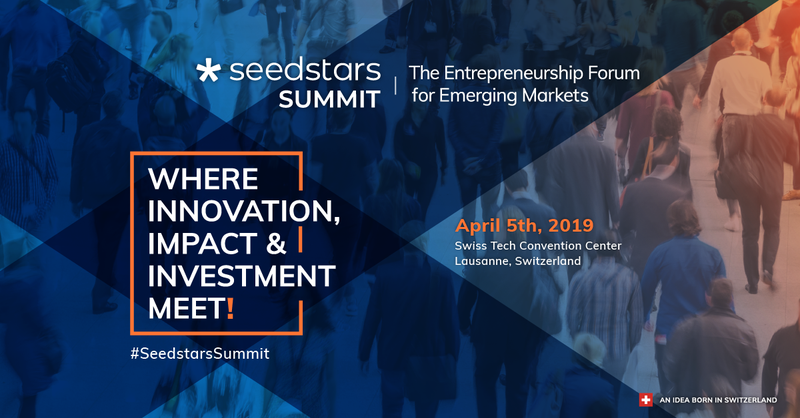 Don't miss your opportunity and get your ticket to the Seedstars Summit happening on the 5th of April in Lausanne, Switzerland! 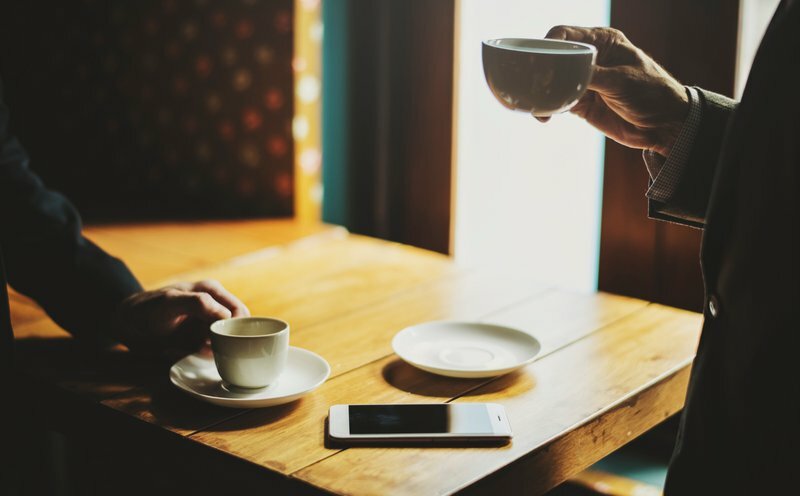 Imagine you are on a 15-minutes long coffee break and you notice a potential investor nearby having a coffee. At the same time, there are 10 more enthusiastic entrepreneurs vying for his attention. What would be your strategy to stand out from the crowd? While many investors expect startups to pitch to them outside of the formal agenda, remember your investor is a human being too. Do not come and start reciting your pitch before they even had a chance to take a breath. Check in with them first and sense where they’re at. Consider having a friendly conversation about something else. Take the time to learn something about this person — perhaps inquire about their interests, passions, or challenges. If you’re confident they are in the right headspace to hear you out, go ahead and pitch your idea. How and why did you first get started as an investor? What kept you going? What else would you recommend I do in this city (if you’re visiting)? The reality is that those who are interested in hearing your pitch will usually have more than the ‘elevator pitch’ 30 seconds to listen to you. This does not mean that your startup pitch should be 10 minutes long either. Keep it short, focused, and powerful. Get your key bullet points down and run them by your partners, friends, and acquaintances. Be clear on the market you are entering, what problem you are solving/which pain point you are alleviating. The problem and the solution should be very clear. Having a startup pitch — succinctly stated, prepared, and rehearsed — matters. It can make all the difference, especially in the moments of high anxiety when it can be harder to improvise and speak clearly. However, it’s also valuable to ask questions to better understand the specific context the person you are speaking finds themselves in. Instead of just blasting out a ton of information, engage with the investor as much as possible, and then adjust your startup pitch accordingly. While it’s important to do your homework in advance and learn as much as you can about the investor beforehand, it’s certainly helpful to ask a couple of questions to them directly (related to their job as an investor). What are your specific criteria for investing in companies? How do you decide to invest in a company? What have been some of your biggest surprises as an investor? What are some of your favorite companies in your portfolio and why? Do you have a specific industry or a geographic focus for your investments and why? The human brain sees the big picture before the details. And stories influence people, their emotions, behaviours, and actions in a way that very few (if any) other communication methods can. Although it’s very important that you’re able to talk about the technical aspects of your product and elaborate on all the key value propositions - the story behind your startup is what will captivate investors’ attention. We tend to remember a good story way longer than we remember a fact or a figure. In recent years, fueled by Simon Sinek’s popular TED talk, people have become increasingly invested in the ‘why’ behind a business. What Sinek found is that most companies do their marketing backwards. They start with their "what" and then move to the "how”, while the most successful organizations start with the “why”. Share a story of a customer whose life was changed for the better by using your product/service. Focus on an individual story. Share a quote by a client/customer/partner to evoke emotion in the investor. Tell a personal story, perhaps a story that triggered the creation of your startup. Clearly state your personal why or your team’s why. Pay attention to your body language. Stand up straight, face the audience. Use movement to generate interest. Vary tempo, pitch, and tone of your voice. Tell a story of the major milestones to be hit (product, marketing, revenues) and how you are hoping to positively impact the world. This is your moment to wow the investors. A compelling story is only made more powerful if there are numbers to back it up. Demonstrating to investors that you have a handle on key business metrics as they relate to your business model and forecast is essential. Your business idea should be validated before pitching to investors. Do research for relevant keywords and talk about the search volume. Speak, or better yet, sell to potential customers if possible. Do market research and make sure you have a unique edge over your competitors. The Front investor pitch deck is one of the most talked about lately, as it managed to raise $66 million in VC funding. Here’s Slidebean (Seedstars alumnus) recreating Facebook’s pitch deck. Facebook, at the time, wasn’t making any money, so they bet on metrics such as their user engagement, customer base, and growth metrics. WeWork, having raised billions in funding, had this as their pitch deck in 2014. Successfully attracting capital requires putting together a strong, compelling pitch that convinces investors to back your startup. There’s no template to a successful startup pitch. However, being confident and passionate in your pitch, doing your research, asking questions and engaging with the investor are key if you want to have a chance in securing funding. Don’t forget to tell a story, backed by numbers, and practice, practice, practice. Learning how to successfully pitch your startup takes time, trial and error. It takes learning, commitment, and courage.